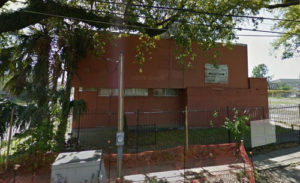 A large former medical center at 2500 Louisiana Avenue is slated to be torn down and rebuilt with a new clinic, city officials said, and, in a separate request, the Veterans of Foreign Wars are planning to tear down and rebuild their meeting hall on Lyons Street. Plans submitted with the demolition request say that the 8,500-square-foot building will be replaced with a new dialysis clinic, and that the developers have already begun the conditional-use process for the site. The lot is expected to sit vacant for about six months, but the fence around the property will remain during that time, the documents say. With little discussion, the committee voted unanimously in favor of recommending the demolition. Like the conditional use, it will require final approval by the City Council. In a separate request, Marcia Gibson of Chenevert Architects appeared before the committee to request the demolition of 531 Lyons Street, the VFW meeting hall. The veterans had intended to renovate the building, she said, but a structural analysis showed that the old corner store’s condition is not suited for an assembly space. “In order to keep up with the current code and hurricane requirements, we need a full demolition of this front building to create a meeting hall use for them,” Gibson said. The adjacent two-story building will remain, with only interior renovations, though the connection between the two buildings will be separated with a new wall, she said. 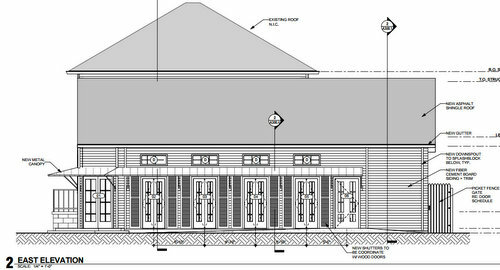 Ultimately, she said, the new meeting hall is designed to replicate the building that is being torn down, with the addition of a new canopy and French doors to better fit the look of the surrounding neighborhood. 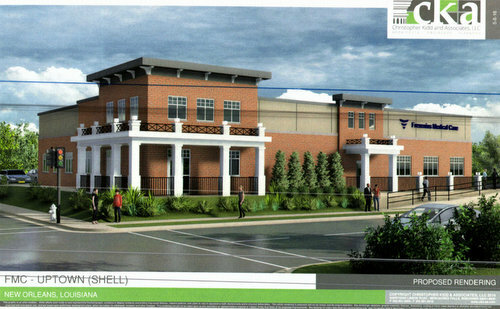 The request received unanimous approval to be forwarded to the City Council for a final recommendation. At 3025 Second Dstreet, a prospective buyer wanted to tear down the house and rebuild a single-family home. The property had originally been sold to the current owner by the New Orleans Redevelopment Authority, but its owner was paralyzed in an accident and never began the renovation project, the prospective buyer said. The committee voted 6-3 to deny the request, saying that NORA should reclaim the property and sell it to a new owner. The committee approved a demolition request at 3839 Leonidas, which the City of Love church purchased and wants to tear down for safety reasons, said Georell Jones. Ultimately, the church would like to combine some other lots on the block for a larger project, such as a community center, Jones said. “Just even demolishing it will help the neighborhood look better,” Jones said. The committee approved a request for a partial demolition at 404 Webster Street, where architect Alice Deshotels said the owners want to remove a few feet from the front to enlarge the front door, and remove a side porch to enlarge it. A request to demolish 3720 Laurel Street was denied by a vote of 8-1. Erin Holmes of the Preservation Resource Center noted that the City Council had previously denied a similar request from a previous owner earlier this year. Emergency water-line repairs cause low pressure on Camp Street Danae Columbus: Will New Orleanians be asked for more taxes to support reform of the jail?